The tenth Oxford International Symposium on Archaeoastronomy for academics working in the field of cultural astronomy will take place in Cape Town, South Africa in July 2014. For more information and updates, please visit the ISAAC web site. This online article on research conducted by Dr. Benno van Dalen of the Institute for the History of Science at LMU Munich is a few years old, but too fascinating to gloss over. This 2012 publication is a rich collection of papers by the editors, as well as Lawrence Schiffman, Sacha Stern, Robert Hannah, and others on the topic of lunar calandars in cultures including the ancient Near East, Christianity, Judaism, China, Japan, ancient Greece, America, and Russia. 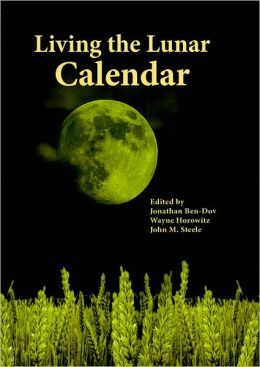 These papers engage topics including the variability of the lunar calendar, and the effects of this variability and the changing beginning of the month upon religious holiday planning, record keeping, etc. The table of contents of this excellent volume may be found here.